RAPAPORT... Lev Leviev faces questioning over diamond-smuggling allegations that have led to six of his relatives and employees being arrested, according to reports. 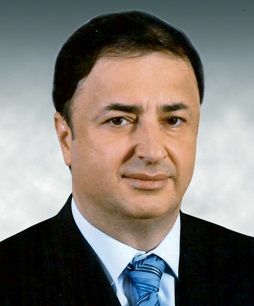 Israeli police detained Zevulun and Moshe Leviev, the tycoon’s son and brother, who ran a factory that Lev Leviev owned, according to The Times of Israel. The other four suspects held senior positions in the tycoon’s companies, the report said. Leviev is currently outside Israel, but may return voluntarily for questioning, Israeli daily Haaretz reported. The six people, arrested Monday, are suspected of being involved in smuggling NIS 300 million ($81 million) worth of diamonds into Israel, Haaretz continued, citing a police spokesperson. Authorities initially apprehended a smuggler at Tel Aviv’s Ben Gurion International Airport earlier this year, Haaretz said. Police questioned him and a second suspect, and came to believe they had uncovered a vast diamond-smuggling ring. The investigation subsequently began when the ringleader cooperated with police and turned state’s witness, the paper said. His identity is currently under gag order.